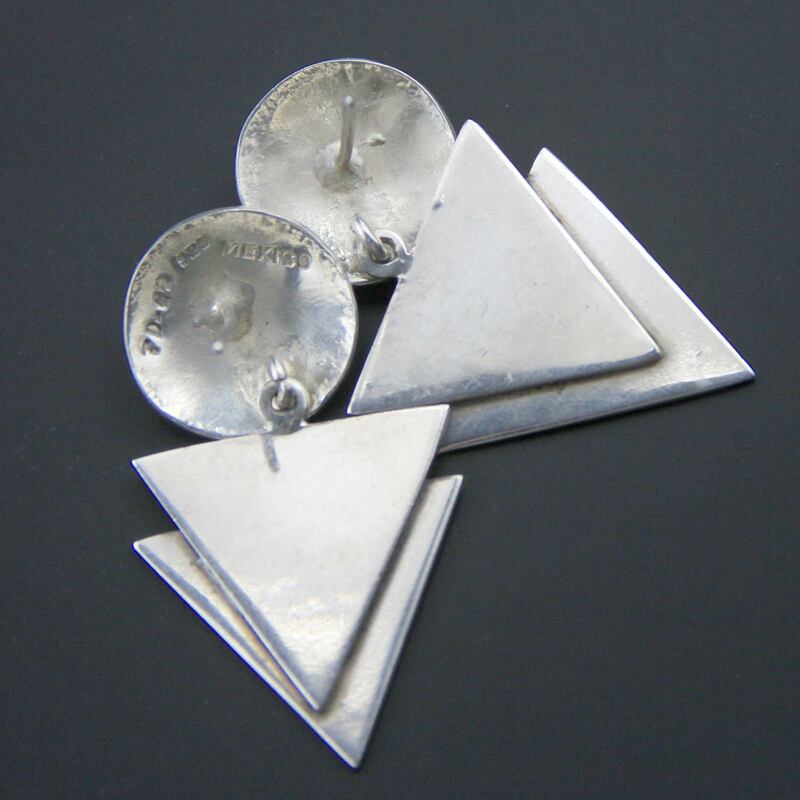 Sterling silver earrings, handmade in Taxco, Mexico circa 1980s. 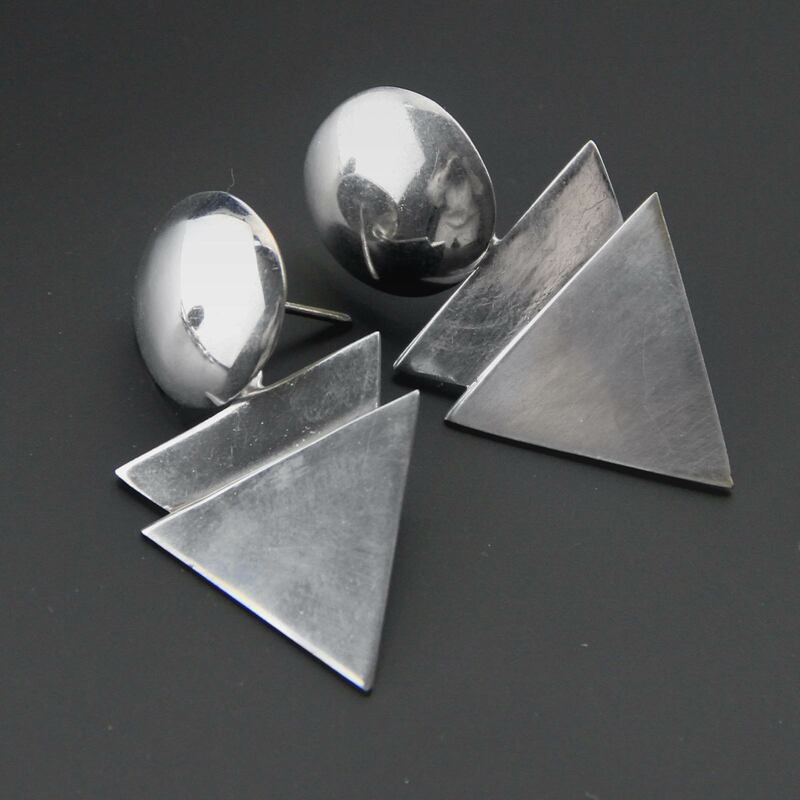 Articulated two piece dangle, stud back with a disc top and double triangle base, mixed surfaces with the bottom triangle has a chrome like finish and the top a high shine. 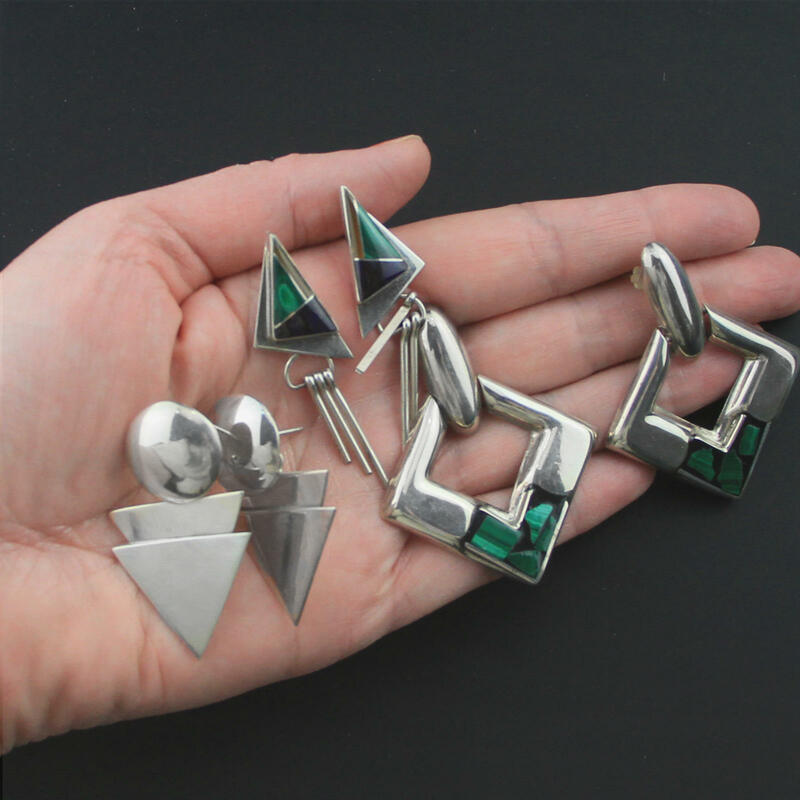 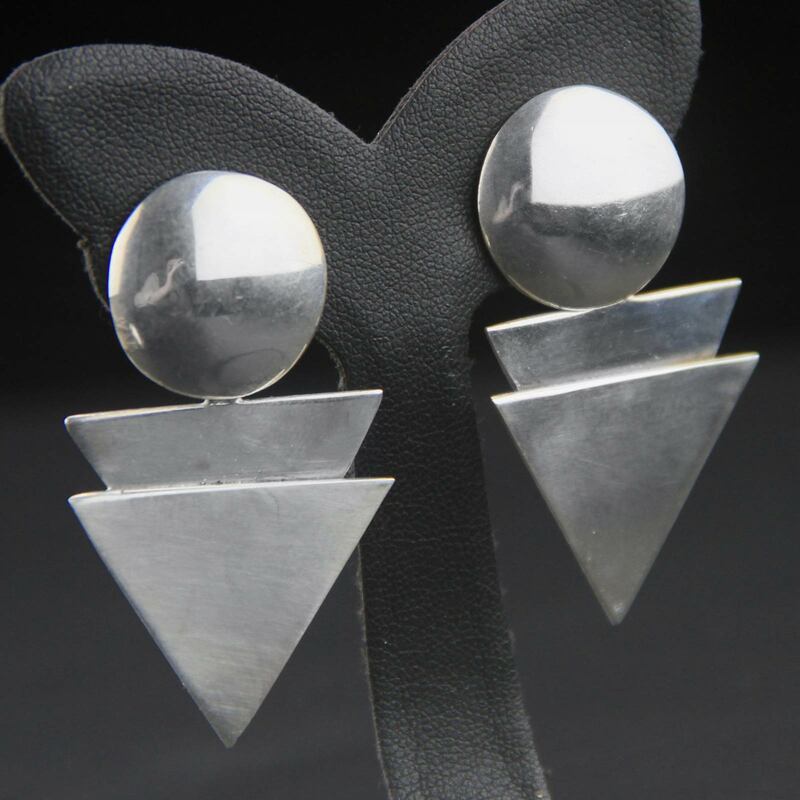 Modern design, nice gauge of silver, beautiful vintage earrings.